Jobs connected to the flight industry and travel services in Iceland will reduce by two to three thousand following the bankruptcy of WOW air. Included are around one thousand people directly working for the airline. Never before have so many people lost their jobs in one day in Iceland. An attempt lasting several months to save the company by its directors failed last night when the deadline to pay ALC, the company that leases seven planes to WOW air expired. All planes, who were in the US and Canada were grounded. WOW air could not come up with the 200 million ISK to pay ALC and therefore had to declare bankruptcy. Thousands of passengers were stranded, both in Iceland and abroad. The Icelandic government is preparing a plan of action so that Iceland's reputation as a travel destination will not be harmed. 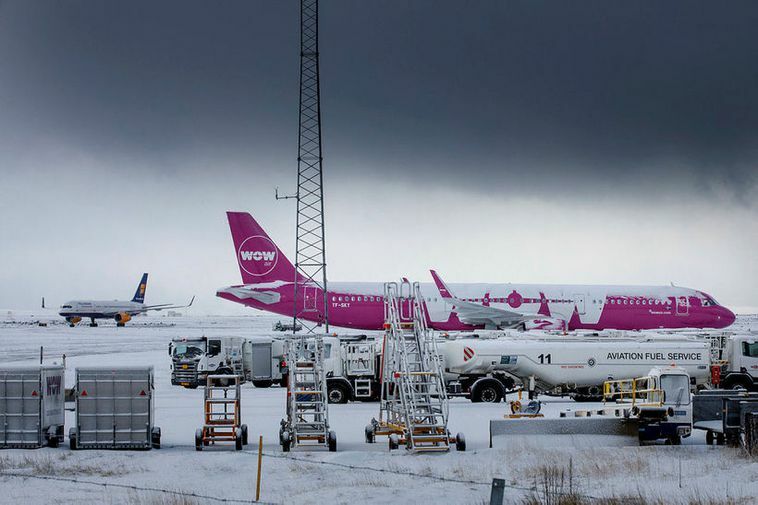 Most passengers who had reservations with WOW air managed to get on other flights, either with Icelandair or other airlines. Yesterday, Reykjavik Excursions laid off 59 people in the wake of the WOW air bankruptcy and more people are likely to lose their jobs, for example at Airport Associates at Keflavik International Airport. Specialists at Iceland's banks are predicting a rise in unemployment and a negative effect on Iceland's economy.